BE PROTECTED:Indian Agate is said to assist with meditations, while promoting strength and emotional security. 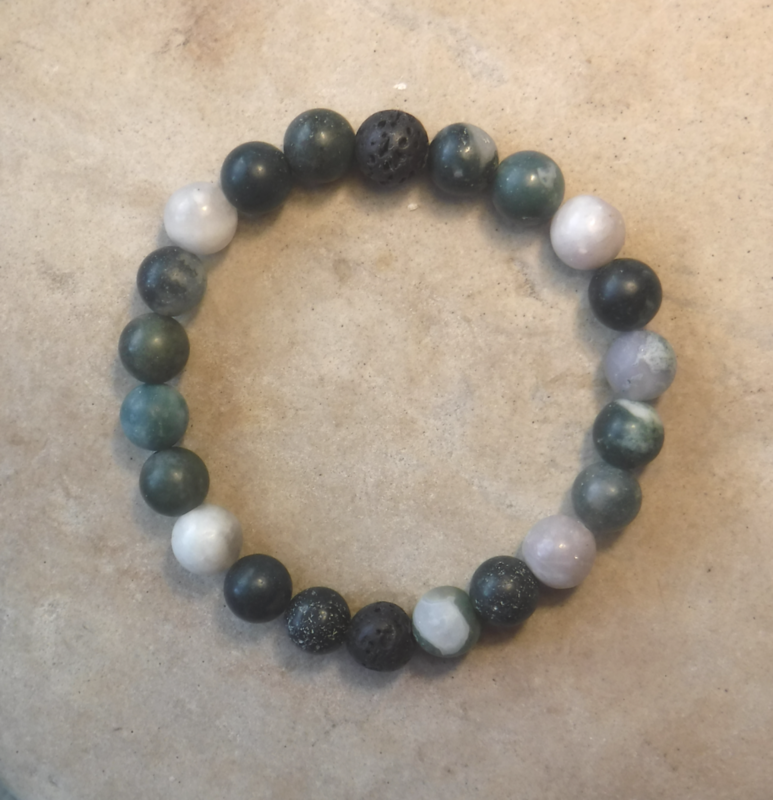 It is mixed with lava and wood for additional grounding and strength. The beautiful hues of green, purple and black will inspire you to protect yourself and those around you. Indian Agate is a natural stone and bracelets will vary in size, shape, and colour. Typical size is between 6.5-7 inches around (they do stretch). If you need a different size, please let us know.